In this video, Dr. Huntoon discusses Chronic Fatigue and how it relates to your overall health. Fatigue is the most common reason for doctor visits. And yet, the Medical Doctor will tell you, "Your getting old, you should expect this to happen." When your fatigue is too much to deal with anymore, Dr. Huntoon has a formula you will choose to use. Weakness and fatigue are terms that are often used as if they mean the same thing, but in fact they describe two different sensations. It is important to know exactly what you mean when you say "I feel weak" or "I am fatigued" because it can help you and your doctor narrow down the possible causes of your symptoms. Fatigue is a feeling of tiredness, exhaustion, or a need to rest because of lack of energy or strength. 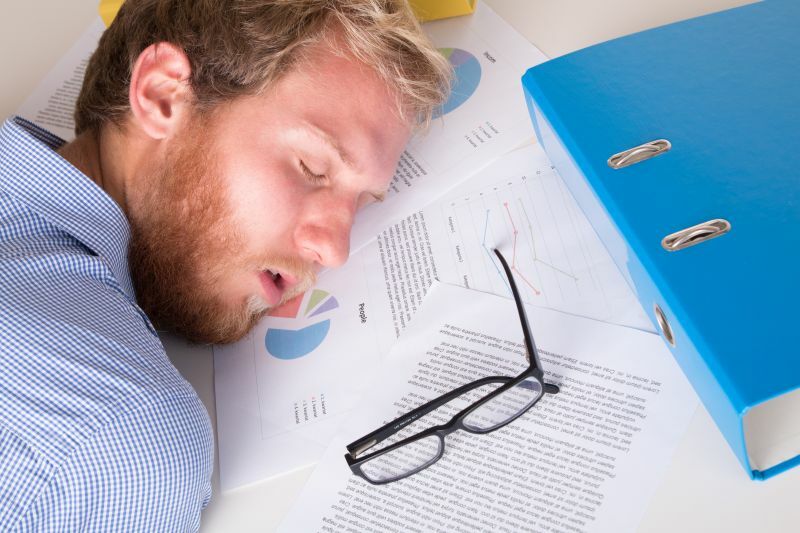 Fatigue may result from overwork, poor sleep, worry, boredom, or lack of exercise. It is a symptom that may be caused by illness, medicine, or medical treatment such as chemotherapy. Anxiety or depression can also cause fatigue. Both weakness and fatigue are symptoms, not diseases. Because these symptoms can be caused by many other health problems, the importance of weakness and fatigue can only be determined when other symptoms are evaluated. Guillain-Barr syndrome, a rare nerve disorder that causes weakness in the legs, arms, and other muscles and that can progress to complete paralysis. You can be sure that, in an effort to rule out other serious causes associated with fatigue or weakness, your medical provider will run lots of tests to rule out other causes or contributors. This will be very time consuming and require lots of tests over several different office visits. In the end, it may lead them and you on a wild goose chase. And the final outcome may be that they cannot find anything wrong. That in itself would be good news. And then you will still need to find out what the reason is. This is certainly an option. Since their are a varied number of causes of weakness and fatigue it is vital that we properly determine the exact cause of your symptoms. By working with a Holistic Chiropractor, we can work with you to develop a well rounded, multi-faceted approach to addressing the underlying cause of your fatigue or weakness. Dr. Huntoon has helped thousands of people understand and address their weakness and fatigue and has helped them feel young again. Once we identify ALL the underlying causes we can begin to treat your lack of energy and get you back to feeling normal. Evaluating your body, all of its systems and determining all the reasons your body is not functioning properly is the first step toward a long term solution. Once all of your systems have been properly restored, you can get back to feeling like your normal self. While each person is different and should be individually evaluated, many people have found success using acupuncture, Homeopathy and Naturopathy. If fatigue occurs without an obvious cause, it is important to evaluate your mental health. Fatigue is a common symptom of mental health problems, such as anxiety or depression. Fatigue and depression may become so severe that you may consider suicide as a way to end your pain. If you think your fatigue may be caused by a mental health problem, see your doctor. Kidney and Liver Disease cause fatigue when the concentration of certain chemicals in the blood builds up to toxic levels. Chronic Fatigue Syndrome (CFS) is an uncommon cause of severe, persistent fatigue. While uncommon your Doctor can recommend tests as well as treatment options.